The Fifty Best held a “blind” tasting of 20 recent release California Sauvignon Blancs with 15 members of our wine judging panel. Strict tasting rules were applied. The order of service was established beforehand by lottery. 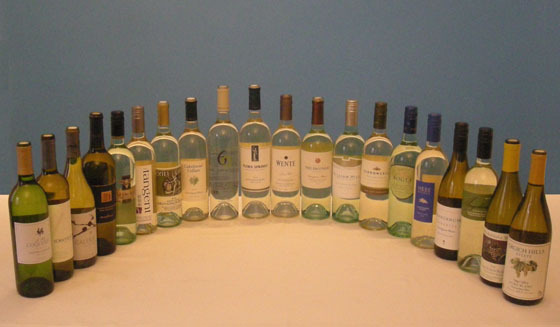 Each of the wines were poured into fresh wine glasses from new sealed bottles and served chilled. Only ice water and white peasant bread were available to cleanse the palate. For this wine, grapes were sourced from a sustainably-farmed estate vineyard in Oakville. Nearly equal parts of the harvest were fermented and aged for 9 months in stainless steel tanks, large wooden casks, concrete tanks or French oak barrels. Aroma: Tropical fruit, pineapple, peach, apricot, pear, apple, gooseberry, grapefruit, light lemon, lemon zest, elderflower, honey, vanilla. Palate: Tropical fruit, white grapefruit, delicious citrus fruit, Meyer lemon, apple, pear, peach, white peach. passion friut, candied pineapple, herbaceous, jalapeño, mineral. Finish: Candied fruit, vanilla, creamy, smooth, elegant. To produce this wine, grapes from Monterey County and Russian River Valley were entirely cold fermented in stainless steel. Aroma: Passion fruit, mango. pineapple, tropical fruit, melon, peach, apricot, aromatic white grapefruit, lime, citrus, gooseberry, floral, rose, grassy, classic sauvignon blanc. Palate: Passion fruit, peach, white peach, nectarine, apricot, pear, melon, ruby red grapefruit, nice lime, lemon, citrus, tart apple pucker, juicy, floral, grassy, wet stone, slate, slight minerality. Finish: Green pepper, clean, mineral notes. 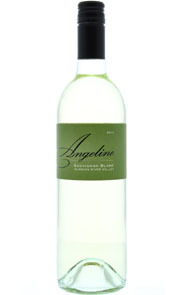 This 100% Sauvignon Blanc wine was produced from grapes grown at various locations in the Russian River Valley appellation, with temperature-controlled fermentation and aging in stainless steel tanks. Aroma: Pink grapefruit, orange peel, lemon, lime, citrus, green apple, lychee, mango. peach, white peach, apricot, nectarine, jalapeño, minerals, clean, complex, aromatic. Palate: Tangerine, layers of citrus, pineapple, nectarine, peach, pear, green apple, juicy, buttery, vanilla, white pepper, jalapeño, herbal, grassy, tart, complex. Finish: Juicy citrus fruit, light pear, smoky, earthy. The majority of fruit for this wine hailed from the northern Napa Valley’s Walnut Wash Vineyard, which is noted for deep clay soil and warm temperatures. Following destemming and gentle pressing, fermentation and aging (on the lees) took place in stainless steel barrels. Aroma: Pretty grapefruit, lemon, lemon pith, citrus, gooseberry, guava, passion fruit, peach, apricot, green apple peel, zesty, basil, grassy, mineral, high acid. Palate: Pink grapefruit, yellow grapefruit, delicious grapefruit, lemon zest, green apple, Asian pear, peach, white peach, passion fruit, pineapple, guava, melon, zesty, grassy, white pepper, bright. Finish: Citrusy, apple peel, pear, pepper, crisp, clean. The majority of grapes for this wine were from McMurray Ranch in Russian River Valley. After pressing, cool fermentation and aging, a small amount of Semillon was added to the final blend. Aroma: Quince jam, guava, passion fruit, pineapple, white peach, apple, orange peel, muted lemon, honey, honeysuckle, basil, light spring grass. Palate: Pink grapefruit, tangerine, mandarin orange, pineapple, white peach, pear, apple, honeydew melon, honey, herbaceous, white pepper, jalapeño. Finish: Grapefruit, edelflower, floral, grassy, crisp, smooth. This wine was made from grapes grown on the certified organic American Canyon and Carners vineyards (at the southern tip of Napa Valley). Fermentation, using naturally-occurring yeasts, was conducted in large French oak casks (80%) and small French oak barrels (20%). Aging on its lees (wasted yeast) for 6 months took place in used, small French oak barrels. Aroma: Orchard fruit, pear, apricot, gooseberry, lime, grapefruit, citrus, honey, slightly herbal, floral, grass, white pepper, oak, mineral. Palate: Touch of pineapple, pear, melon, green apple, lime, lemon zest, vanilla, herbal, dandelion greens, white pepper, earthy notes, wood, bright, nice minerality, great balance. Finish: Lime peel, tart, smoky, oak. The grapes for this wine hailed from a certified sustainable vineyard. Fermentation and aging took place in stainless steel. Aroma: Grapefruit, gooseberry, guava, ripe pineapple, fresh cut bell peppers, green pepper, grassy meadow, jalapeño, earthy. Palate: Quince, grapefruit, kumquat, green apple, Asian pear, pear, kiwi, passion fruit, pineapple, juicy, lemongrass, green pepper, herbs, crisp tartness, slate, mineral, full. Finish: Tropical fruit, clean, big. 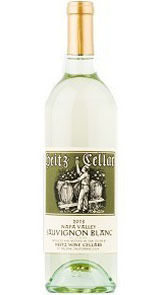 This 100% Sauvignon Blanc wine was made from grapes grown on the family-owned Hess estate vineyards in Napa Valley and Monterey County, and on the vineyards of grower partners in Lake and Mendocino counties. Fermentation and aging was conducted entirely in stainless steel. Aroma: Grapefruit, lemon, lime, citrus, passion fruit, pineapple, white peach, ripe peach, pear, cut herbs, herbal, floral, fresh meadow, grassy, white pepper, mineral, wet stone. Palate: Citrus, nice lime, lemon pith, lemon zest, white grapefruit, melon, green apple, ripe stone fruit, pear, vanilla, green pepper, fresh cut grass, grassy, herbaceous, chalk minerality. Finish: Citrus notes, creamy vanilla. This wine was produced from 100% Sauvignon Blanc grapes grown on three Santa Ynez vineyards (62% Great Oaks, 23% McGinely and 14% La Presa), with 12% of the crop barrel fermented in neutral oak puncheons (and the remainder in stainless steel). Aroma: Orchard fruit, peach, apricot, pineapple, honeydew, grapefruit, citrus undertones, juicy, honey, honeysuckle, floral, herbs, pale grassiness, oak. Palate: Apple, green apple, white grapefruit, honeydew, passion fruit, pineapple, pear, peach, white peach, green pepper, mint, light oak, crisp, clean. 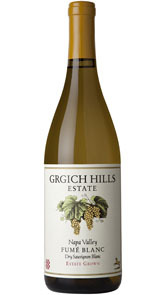 Grapes for this blend of Sauvignon Blanc (87%), Semillon (7%) and Sauvignon Musque (6%) were harvested at night from estate ranches in Carneros, southern Napa, Rutherford and Calistoga locales. Fermentation was conducted in stainless steel tanks (88%) and older French barrrels (12%), with aging for 5 months in neutral French oak barrels (70%) or stainless steel (30%). Aroma: Orchard fruit, pear, apple, white grapefruit, gooseberry, elegant tropical fruit, honey, creamy, light toast, subtle earth. Palate: Pear, Asian pear, orchard fruit, kiwi, melon, tropical fruit, light citrus, green pepper, white pepper, jalapeño, earthy, chalk, smooth, rich, classic. Finish: Green apple, tart, big. Grapes for this 100% Napa Valley Sauvignon Blanc wine were sourced from Longwood Ranch, Gamble Vineyards and Wilson Ranch Vineyard. Fermentation was accomplished in a combination of concrete, stainless steel and used French oak, with six months of aging on the lees (wasted yeast), prior to bottling. Aroma: Grapefruit, citrus, lemon, lime zest, kiwi, pineapple, peach, pear, dried apple, edelflower, light floral, grass, tarragon, minerality. Palate: Mouth filling citrus, Meyer lemon, lime, white grapefruit, green apple, bell pepper, herbaceous, grass, smoky. Finish: Lime, light lemon, citrusy, peach, elegant. Grapes for this wine came from a prized Livermore Valley vineyard (the Louis Mel Estate), with fermentation and aging in stainless steel. Aroma: Pineapple, guava, passion fruit, tropical fruit, pear, white peach, apricot, ripe apple, rich fruit, honey, white flower, basil, dusty, earthy. Palate: Tangerine, green apple, Asian pear, peach, melon, white grapefruit, lemon, lime, crisp tartness, green pepper, herbaceous, mint, energetic acidity, nice complexity. Finish: Lime, lingering pear, clean, smooth, slate, slight mineral. 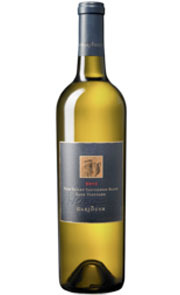 This wine was fashioned from hand-harvested Sauvignon Blanc grapes that were sourced from three rugged niches atop the the Darioush Mount Veder estate vineyard. Following harvest the grapes were cool-fermented and barrel-aged for 6 months in French oak. Aroma: Ripe quince, pear, peach, apricot, melon, green apple, Meyer lemon, lemon zest, lime, floral, slight basil, smoky, mineral. Palate: Grapefruit, lime, green apple, tropical fruit, nectarine, pear, coconut, vanilla, buttery, definite oak. Finish: Tropical fruit, lime, bright acidity, oak. Made from Sauvignon Blanc grapes grown in Napa Valley (60% Shortsis Vineyard in Rutherford and 40% Carvey Vineyard in Oakville), this wine was totally fermented in stainless steel. Aroma: Gooseberry, pear, melon, slight citrus, lemon custard, honey, floral, toast, jalapeño, grass. Palate: Bright gala apple, green apple, kiwi, yellow grapefruit, lemon, citrus pith, white peach, melon, honey, vanilla, green pepper, white pepper, mineral, high acidity. Finish: Vanilla, honey, clean, slight minerality, pleasant. For this wine, grapes sourced from three separate Dry Creek vineyards were crushed, gently pressed and slowly fermented in temperature-controlled stainless steel tanks, followed by a few months of aging also in stainless steel. Aroma: Lemon, lemongrass, soft grapefruit notes, white peach, cooked fruits, poached pear, faint guava notes, vanilla, whipped cream, honeysuckle, floral. Palate: Pineapple, tropical fruit, white peach, green apple, poached pear, vanilla, honey, honeysuckle, hint of spice, clean, bright, crisp, nice acidity, well balanced. Finish: Pineapple, tropical fruit, lime, lingering caramel. 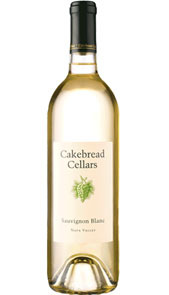 To make this wine Sauvignon Blanc grapes (100%) from Russian River Valley were whole-cluster pressed, settled before fermentation and aged on the lees prior to bottling. Aroma: Gala apple, green apple, pear, Asian pear, grapefruit, lime, citrus notes, peach, guava, apricot, honeydew melon, honeysuckle, bell pepper, light floral, grass, mineral. Palate: Gala apple, pear, Asian pear, pineapple, lemon, citrus, green pepper, grassy, herbaceous, pepper, white pepper, mineral. Made from 100% certified organic Sauvignon Blanc grapes grown on Napa Valley’s Ink Grade Vineyard – that features for cool mornings and warm afternoons – this wine is fermented to complete dryness. Aroma: Pineapple, cantaloupe, peach, apricot, pear, gooseberry, coconut, tropical fruit, citrus pith, grassy, mineral. 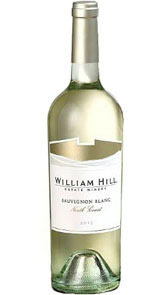 Palate: Pineapple, tropical fruit notes, guava, white peach, kiwi, pear, green apple, lemon, herbaceous, spice, tart, classic. Finish: Pineapple, lemon pucker, smoke, nice, clean. This wine was made from grapes (91% Sauvignon Blanc, 9% Semillon) grown on a certified organic estate in southern Mendocino County. Fermentation over 19 days was conducted in seasoned Bordeaux oak barrels, followed by five months of aging in the same barrels. Aroma: Stone fruit, peach, pear, tropical fruit, light grapefruit, pink grapefruit, lime peel, citrus, slight vanilla, edelflower, herbal notes, earthy, loads of minerality. Palate: Guava notes, peach, white peach, apple, yellow grapefruit, lemon, citrus, citrus pith, vanilla, floral, green pepper, herbal, touch of wood, oak notes, crisp, popping acidity, smooth, nice mouthfeel. Finish: Citrus, white grapefruit pith, tangy, honeysuckle, light spice, wood, elegant. This wine was made from grapes grown in Lake County that were hand-sorted and lightly pressed prior to cold fermentation and aging, primarily in stainless steel (98%), with a small amount (2%) in French oak barrels. Aroma: Lime, lemon, alluring citrus, pineapple, apricot, fresh cut grass, bright acidity, toast, tarragon, white pepper, wet stone. Palate: Lemon, lemon zest, lime, grapefruit, pear, kiwi, melon, green apple, white peach, grape, herbaceous, white pepper, oak, lots of minerality, high acidity. Finish: Peach, pear, crisp lemon, minerality, delicate. Made from grapes grown in Santa Barbara, fermentation and aging was conducted primarily (91%) in stainless steel, with 9% fermented and matured in neutral and new French oak bariques for 10 months. Aroma: Green apple, honeydew melon, pear, apricot, subtle lime notes, light pineapple, white flower, tarragon, herbs, fresh hay, grass, mineral, earthy. Palate: Crisp lime, lime peel, green apple, kiwi, pear, white peach, melon, white flower, jalapeño, light mineral, slate, wet stone, delicate, soft, clean, refreshing. Finish: Tart, crisp, light oak, soft, rich.